Fereydoun Ave (b. 1945, Tehran, Iran) is one of the most influential individuals in Iranian contemporary art and his prolific efforts have taken diverse aspects. He received his BA in Applied Arts for Theatre from Arizona State University, studied film at New York University, and studied at the University of Seven Seas (aka Semester at Sea). During his career, which spans over five decades, he has successfully taken many different roles including artist, designer, art director, collector, curator, gallerist and art patron. His artworks have been featured in many solo exhibitions along with hundreds of group shows in galleries and museums all around the world. 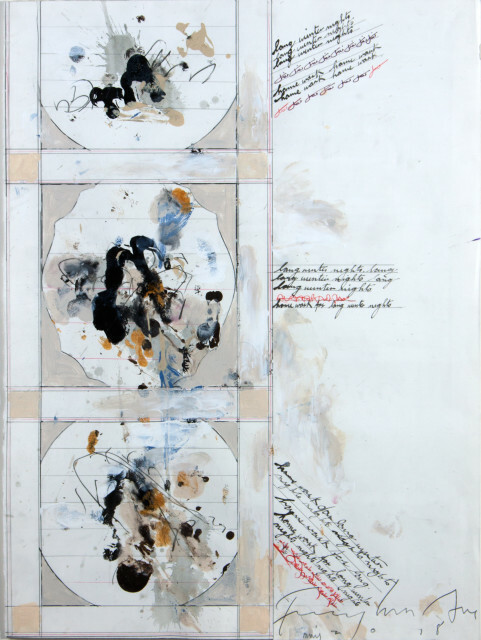 As well as being purchased by many notable private collectors, Ave’s work has been acquired by prestigious art institutions including The British Museum in London, The Metropolitan Museum of Art in New York, Los Angles County Museum of Art (LACMA), Centre Georges Pompidou in Paris, Cy Twombly Foundation and Tehran Museum of Contemporary Art (TMOCA).